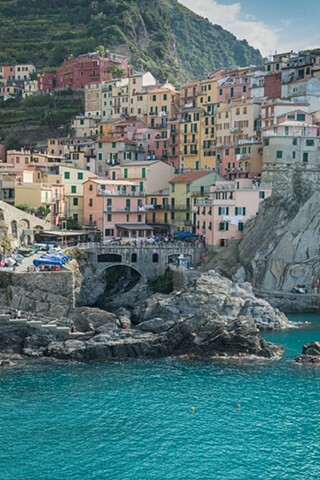 Cinque Terre is a string of 5 hillside towns, clinging to the rocks along the rocky coast. They have been around for hundreds of years and are famous for their hiking trails that run between the towns. There is a train that runs from La Spezzia to Genoa along the coast and you can hop on and off to see the towns.